Discussion in 'All Hot Deals' started by PrimeOS, Sep 6, 2013. 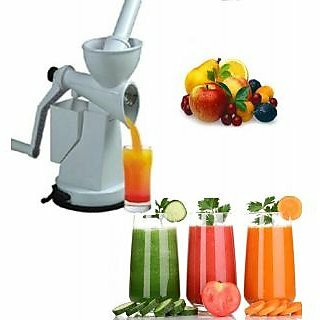 Modern hectic lives, juicing is The best way weve found to add our Diet. The raw fruits and vegetables needed For good health. Ideal for: Orange, Pineapple, Grapes, Sweet Lime, Water Melon, Pomegranate, Bitter gourd, Palak, Tomato etc. dozens of fresh juice Glasses in minutes. Not just for holidays any more. Create special juices & Mock tails the easy way.